After gaining a first class Honours degree in fine art, Lois Wallace completed a Higher Diploma at the Slade School of Art in London, before being awarded the Cheltenham Painting Fellowship at Gloucestershire College of Art and Design. In her work Lois explores the relationship between painting and photography to create new ways of depicting place. 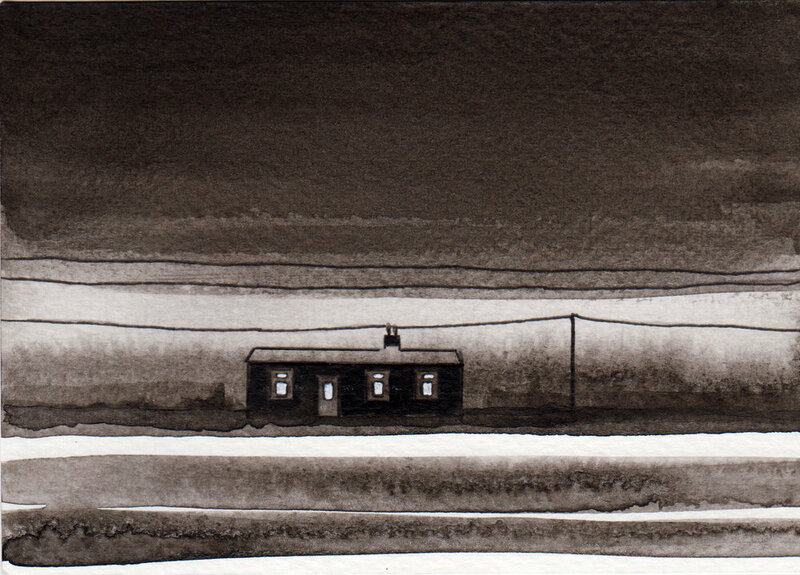 Her recent paintings are small narrative works on copper that are meditations on our desire for home. Light and darkness, key elements of the sublime, are central concerns in her practice. The starting point for Lois’s paintings is photographs she has taken that address her interest in the concept of isolation in the modern world. While there is a strong photographic element in her paintings, they are not depictions of the photographs, but evolve through a process of assimilation. Through the unsettling nature of light, the places she depicts explore daydreams, solitude and vulnerability. Lois has an extensive record of exhibiting in solo and group shows both nationally and internationally, including most recently at the Royal Academy of Arts, London, Shenzhen Art Museum, China, and Birmingham Art Gallery and Museum. Her work is held in many private, public and corporate collections in the UK and abroad.